Justice Department probing allegations the Clinton Foundation used "pay to play" politics while Hillary Clinton was Secretary of State. 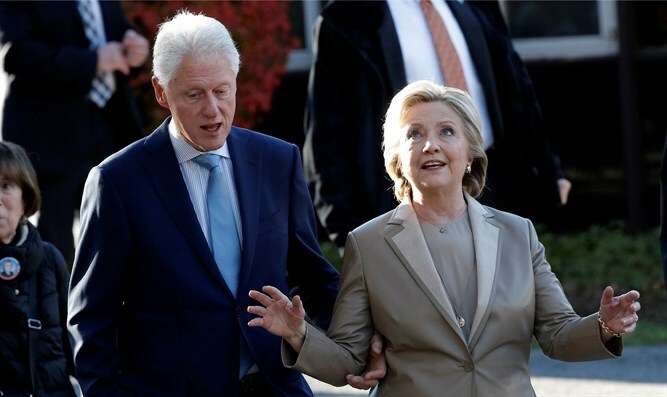 The Justice Department has launched a new investigation into allegations the Clinton Foundation used "pay to play" politics while Hillary Clinton was Secretary of State, Fox News reported Friday. A source familiar with the investigation told the network the investigation is being led by the U.S. Attorney’s office and the FBI in Little Rock, Arkansas. Fox News also has learned investigators are looking into whether the Clinton Foundation violated tax law. Accusers of "pay to play" have claimed the foundation promised favors in exchange for donations or pledges of cash or gifts. The Hill, which broke the story Thursday evening, added that FBI agents have taken the lead in the investigation and have interviewed at least one witness in the last month. The witness allegedly said that agents inquired specifically about donations to Clinton entities and official government actions during Clinton's leadership of the State Department under President Barack Obama, according to The Hill. Law enforcement officials quoted in that report said there will be "additional activities" relating to the investigation in the coming weeks. In a statement to Fox News, Clinton Foundation spokesman Craig Minassian suggested that the organization had done nothing improper. “Time after time, the Clinton Foundation has been subjected to politically motivated allegations, and time after time these allegations have been proven false," Minassian said, adding, "None of this has made us waver in our mission to help people." Clinton spokesman Nick Merrill told Fox News that the investigation is an attempt by the Trump administration to distract the public. "Let’s call this what it is: A sham," Merrill charged. "This is a philanthropy that does life-changing work, which Republicans have tried to turn into a political football. It began with a long-debunked project spearheaded by Steve Bannon during the presidential campaign. It continues with Jeff Sessions doing Trump’s bidding by heeding his calls to meddle with a department that is supposed to function independently. The goal is to distract from the indictments, guilty pleas, and accusations of treason from Trump’s own people at the expense of our justice system’s integrity. It’s disgraceful, and should be concerning to all Americans." In 2016, Hillary Clinton admitted that some foreign donations to the Clinton Foundation made during her tenure as Secretary of State were not disclosed to the State Department. Her comments came before she became the Democratic nominee in that year’s presidential election. Following the election, Trump’s transition team said he would be encouraging foreign governments to investigate their funding of the Clinton Foundation.